Perfect skin…it is the dream of every woman (and even some men!). Many buy expensive creams in hopes of capturing it. Some pay for expensive procedures to try to re-capture it as we age. And for some us, we never quite get it right! Everyone wants to recreate the looks of top movie stars and celebrities like Angelina Jolie, January Jones, Katie Perry, and more. But what they won’t tell you, and what big pharmaceutical companies and cosmetics marketers will never divulge is that these Hollywood A-listers are just like you and I. They have good days and bad days with their skin. The difference is that they’ve got makeup artists, cosmetic surgery, and my personal favorite, PhotoShop, to make them look like the starlets they really are. Genuine, honest to goodness beautiful skin starts with good nutrition and a healthy diet plan, and no amount of Botox or plastic surgery or whatever other instant cure is out there will ever top that. So for those among us that don’t have the big bucks to shell out, we can promote beautiful skin and incorporate beautiful skin tips into our diets to get naturally beautiful skin. Let’s look at some of the top foods that you should be eating to get that Marilyn Monroe look (to me, she’s the classic diva, and she did it without any type of procedure or fix) on even a meager budget… and minus the photo retouching… The right balance of nutrients and vitamins feed your skin, which is why it is so important to eat healthy foods as much as you can. Water. Getting enough water in your diet is not just good for keeping away the unwanted pounds and lubricating your digestive tract for better health, it also keeps you hydrated. Hydration is the number one way to stave off wrinkles, and water in its pure, unadulterated form is the best way to stay hydrated. Every cell in your body, including those in your face, requires water to function properly. Without adequate water, your skin will become dry and you’ll be more prone to breakouts. Sip water throughout the day; if you find it bland, try adding a spritz of natural lemon juice to it for a flavor burst, or easily make your own fruity water. Avocadoes. I blogged about avocados awhile back and how they are a great source of good fats – specifically oleic acid, which can lower your cholesterol and promote heart health. I also suggested a delicious avocado smoothie that I personally love. 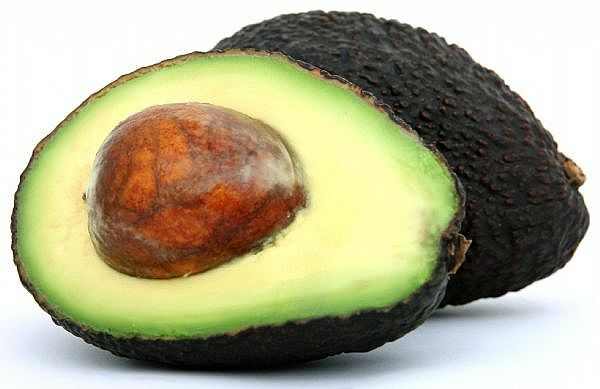 And avocadoes are loaded with B vitamins that can keep your skin looking smooth and vibrant, and they are packed with monounsaturates that have been found to lower the incidence of wrinkles in those whose diets consisted of avocadoes. Besides that, they taste amazing! Beans. I recently posted on young soybeans, also known as edamame, and I also posted my favorite Edamame chili recipe. Soybeans, as well as other legumes like lentils, black beans, lentils and chickpeas have been found to smooth wrinkles. Whole foods. If you read my blog consistently, you know that I’m a big fan of healthy whole foods. Clean, whole foods and a diet that is void of packaged, processed, sugary stuff can lead to better health for your whole body, including the skin. Enjoy your veggies and fruits in raw form to reap the most skin-friendly benefits. Olive oil or nut oils. What you cook with can also affect the health of your skin. Avoid butter and trans-fatty oils or hydrogenated fatty oils, and limit the amount of canola oil that you use. Opt instead for olive oil, preferably in the Extra Virgin Olive Oil (EVOO) form that I’m fond of, to reap the most free-radical fighting benefits.